For many financial services organizations, security and risk management is a necessary evil that slows down IT's ability to keep up with business needs. The conflict between security and agility becomes even greater with adoption of hybrid cloud platforms. 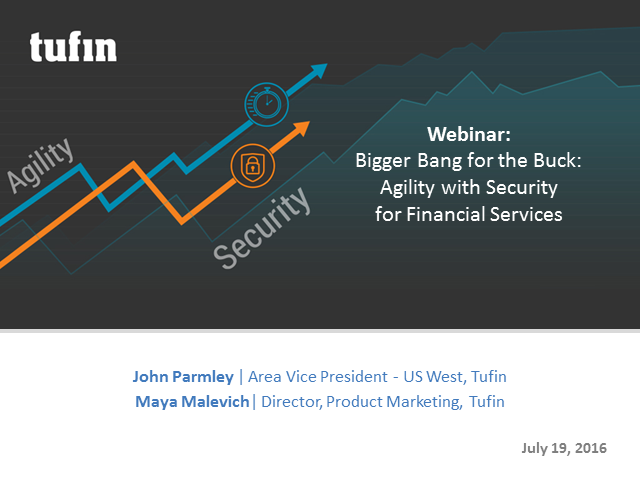 While agility should be maintained, security and compliance become even more challenging. By automating and orchestrating network security policies across physical and hybrid cloud platforms, it is possible to maximize both agility and security simultaneously. Join us for this session to understand how network security change automation with inherent policy controls can help you stop the balancing act between agility and security and maximize both for your business.